Listen to Lazy E weekdays from 3PM – 7PM! 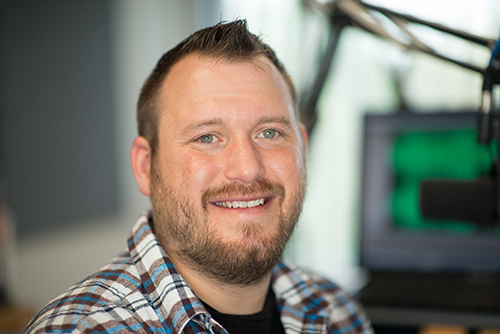 First there was Abe Lincoln, then there was Taylor Hicks, now… it’s Lazy E.
Lazy E started as an intern with 979X in 1994 and has been here ever since. When he’s not talking into the mic, Lazy E is more than likely watching wrestling, playing a video game, or hoping the Cincinnati Bengals win a Super Bowl someday. And if there’s a new comic book movie coming out, you’ll probably run into him at one of the first showings. Check out my blog at the link provided. If you don’t, I’ll hit a baby.